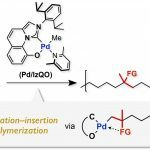 Abstract: A series of palladium/alkylphosphine–sulfonate catalysts were synthesized and examined in the homopolymerization of ethylene and the copolymerization of ethylene and polar monomers. 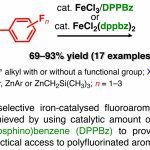 Catalysts with alkylphosphine–sulfonate ligands containing sterically demanding alkyl substituents afforded (co)polymers whose molecular weight was increased by up to 2 orders of magnitude relative to polymers obtained from previously reported catalyst systems. The polymer molecular weight was found to be closely correlated to the Sterimol B5 parameter of the alkyl substituents in the alkylphosphine–sulfonate ligands. 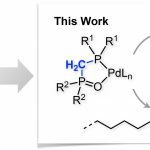 Thus, the use of bulky alkylphosphine–sulfonate ligands represents an effective and versatile method to prepare high-molecular-weight copolymers of ethylene and various polar monomers, which are difficult to obtain by previously reported methods. 高分子(Polymers), Hot Topics, 2015, 64, 755.